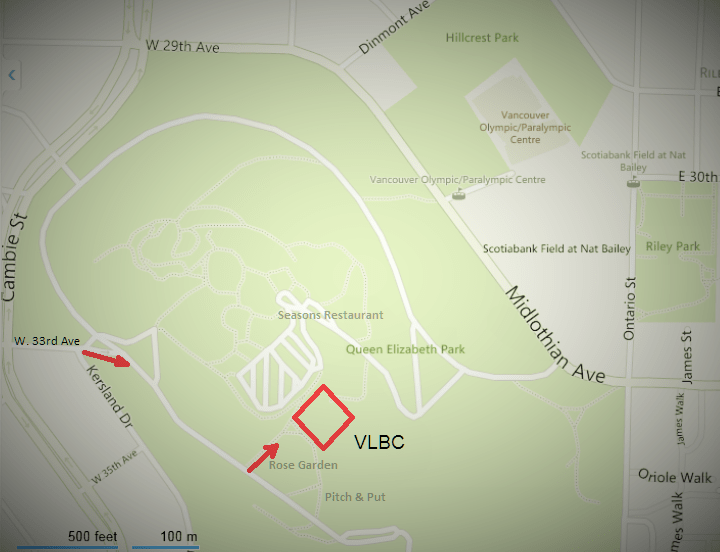 We are located in Queen Elizabeth Park, on Little Mountain, in the middle of Vancouver. The park is bounded on either side by Cambie St. and Ontario St. From Cambie, please use 33rd Ave., or from Main St. use 37th Ave. to access the park entrance. Look for signs for Lawn Bowling near the Rose Garden, or the Pitch & Putt. We have times available during the week for lawn bowling events for corporations or family groups.